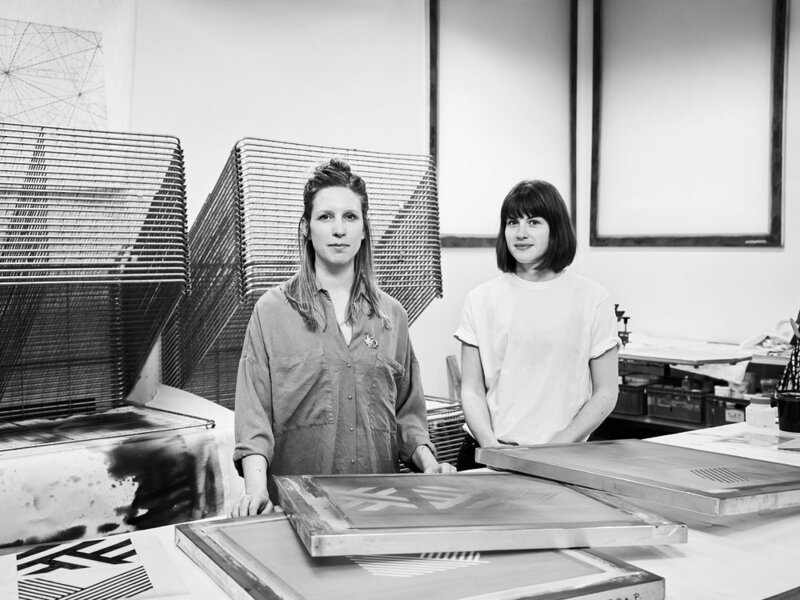 In this interview Alexandra talks to Bernadette and Barbara, the minds and souls behind Viadukt Screenprints, about arts and crafts in an urban context and our beloved Vienna, the inspiration and motor for concentrated girl power. We have been working together for more than 3 years, our joint special edition „Lines & Stripes“ was the occasion for this talk. BE Hey Alexandra, thank you for having us for this talk. BA Yes, sharing is definitely one of the main focuses we have. 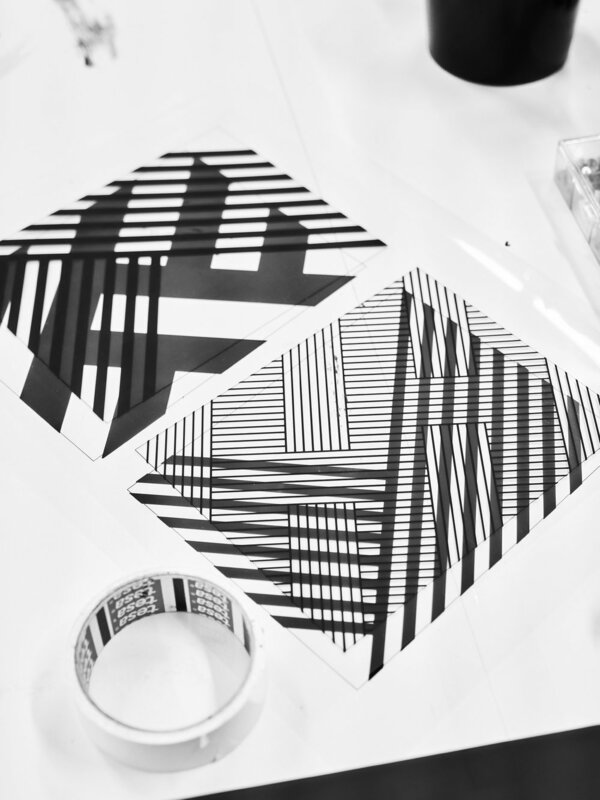 In 2012 Bernadette moved to NYC for an internship at the Lower East Side Printshop for a few months. Back then she already had the screen print studio in Vienna, but she was interested in seeing other studios with a long tradition in printmaking. BE Yes, I had the feeling there must be more, and I was curious to work with other printmakers and artists, museums and galleries. I came back and we reopened the studio in Vienna with a new concept: to share silkscreen knowledge, to help artists and designers create new work and advance their careers. 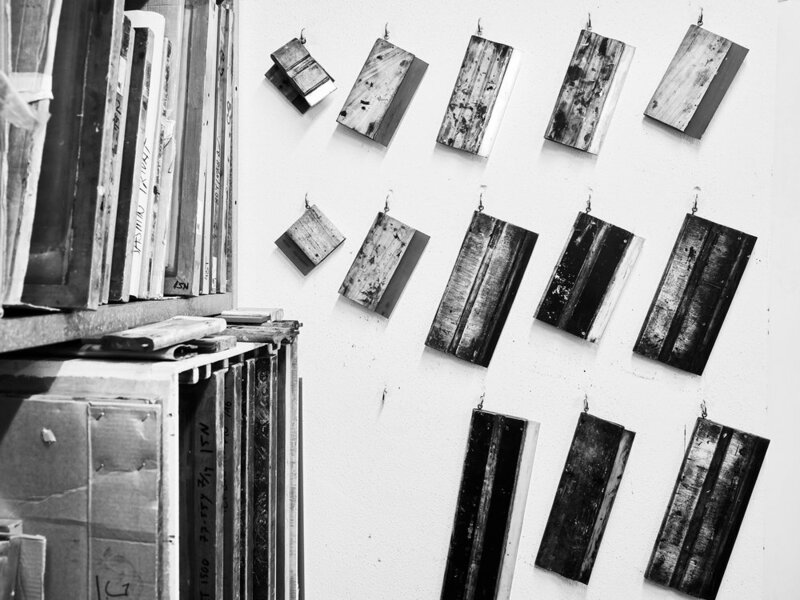 Through the Printshop’s workspace residency programs, artists and designers receive space and time to work, technical assistance, and public exposure. 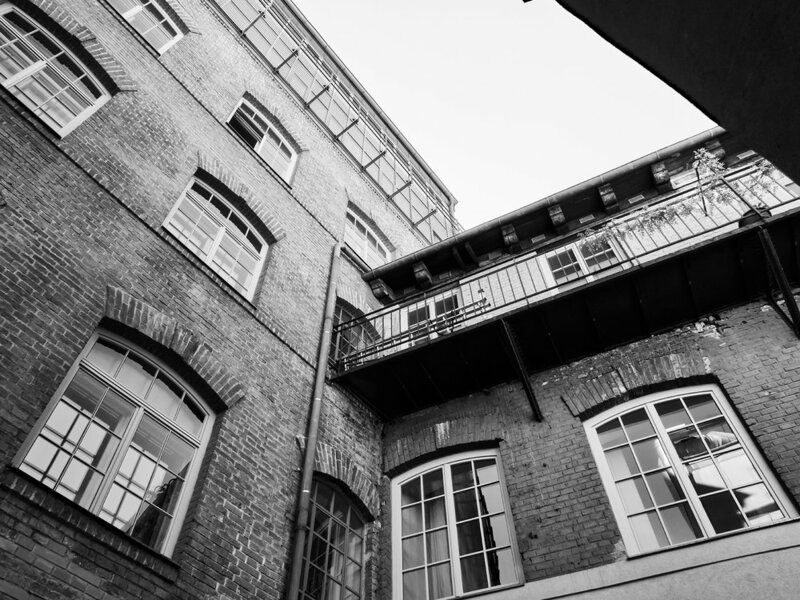 With its exhibitions, fair appearances, and other public programs, the Printshop serves as a junction for artists, designers, collectors, museums, galleries, and educational institutions to access and engage contemporary art and design. "Lines & Stripes" is a special project for ...SAID THE FOX: Inspired by commission work in the course of a Josef Hoffmann exhibit I found great pleasure in taking up this piece of Viennese history as a subject, and to let myself be inspired by shapes and contents of the WIENER WERKSTÄTTE and finally, to realize it in this light with you, here in Vienna. For me, Vienna is truly inspiring. BE Oh Vienna, my love! What a city. I was born here and honestly spoken - it took me a while to appreciate what the city can offer. I had to travel a lot to conceive the exceptionalities of Vienna and yes, it has many - I could not imagine living anywhere else. Vienna hosts so many extraordinary artists and designers who want to produce and create, and who are good at it. BA Yes, I agree, you can be inspired by so many things. But most of the inspirations come from the people who visit us in our studio - the artists and designers. The talks, the project meetings, there are so many ways to conceive art and design. It depends on what you want to do with it. The subject matter at ...SAID THE FOX is organization and travel; big journeys, but also those small, daily journeys, life itself. Where is your journey going? BE When you look at the business side of running a studio like this, it’s an every-day challenge and not always easy. But in the end you have to ask yourself if you are doing something that you really love. And I would definitely say: Yes. We do what we love. 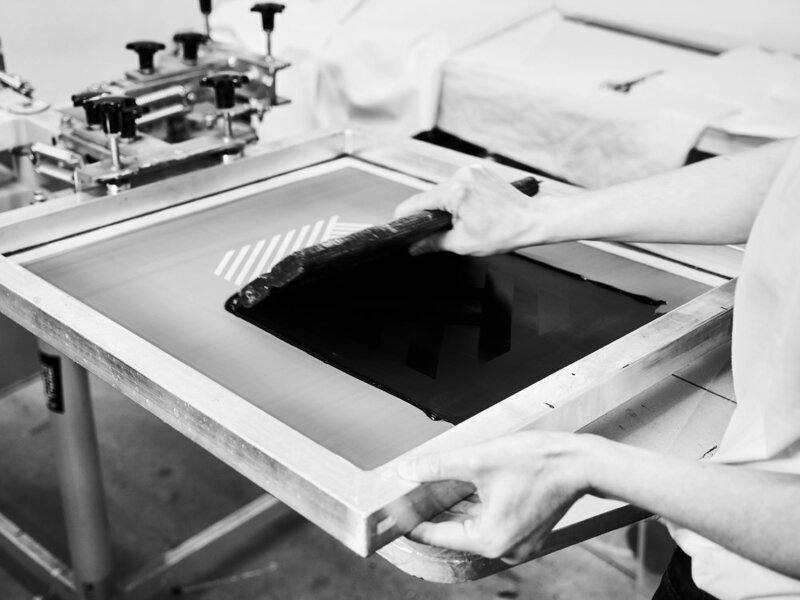 A screen print (whether it’s a product or an art work) can bring joy and happiness. For the people who create, for art buyers who install their recently purchased art work on their wall at home and for customers who use the accessory they have recently bought in a design concept store. BA Following the vision of sharing silkscreen knowledge, having collaborations with fantastic project likes yours with similar values of quality, fairness and style show us that we are on the right way. Never give up and don’t forget that you always have the choice to change things whenever you want to. BE For our next project (which will take place from December until June 2018) we will work with four different artists and 20 youngsters from socially marginalized backgrounds in the age between 15 and 25. 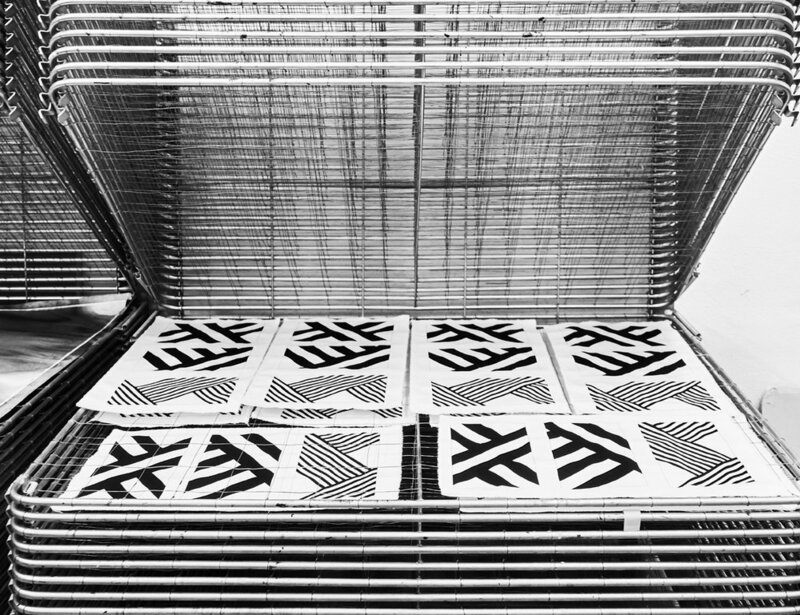 The project is called “AUSGEDRÜCKT”, meaning “EXPRESSED” and intends to develop artistic visions with the technique of silkscreen. We are very much looking forward to this and I am very happy that we were selected by SHIFT to realize it. BA Besides that, we will continue our printing collaborations, the contract printing and we are also working on new editions with some artists for our Viadukt Edition which can be purchased through our ONLINE STORE, via email kontakt@viadukt.at or at fairs. We just came back from the Editions / Artists’s Books fair in NYC and are delighted by the positive feedback. People want to see screen prints by artists and designers from Austria. 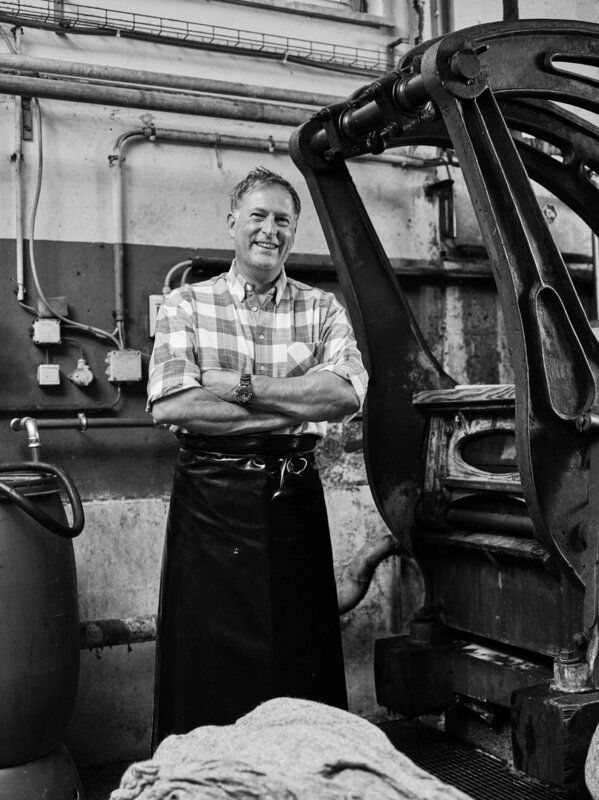 Stills and Moving Images: Mark Glassner Thank you Mark!! 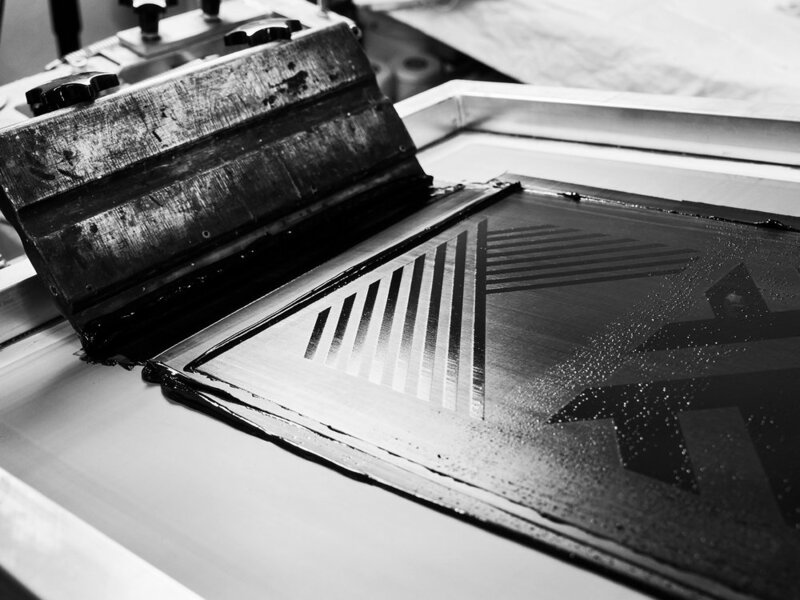 Catch a glimpse behind the scenes of Viadukt Screen Printing Studio. 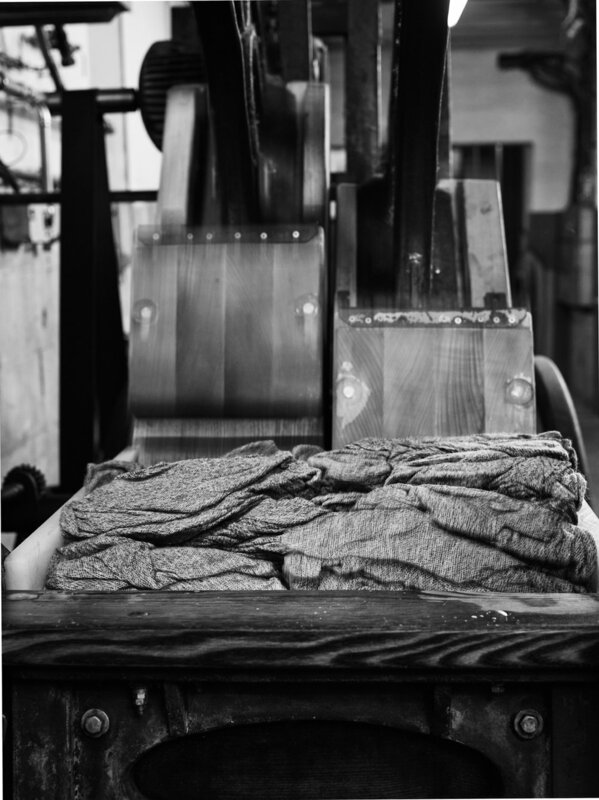 A story of innovation and living tradition, of craftsman-ship and existing values. At the foot of the Dachstein Mountain, today as 120 years ago, you can find experienced specialists with knowledgeable hands at work: cotton-like raw wool from Austrian mountain sheep is spun to thread, woven to a lightweight fabric and, with the help of the traditional hammer mill, finally processed into original Schladming Pearl Loden. This fabric, which was once developed for functional wear for use in extreme mountaineering, this highest-quality local textile is a wonderfully sustainable material: durable, robust and long-lasting, and yet so fine and soft to the touch. Inspired by this "Austrian treasure”: a high-quality textile that thrives here and is produced regionally we created our first travel accessories collection: the COSY LODEN COLLECTION. At our partner, the traditional family-run business STEINER in Styria, Schladming Pearl-Loden of the highest quality is still produced on the original hammer mill. 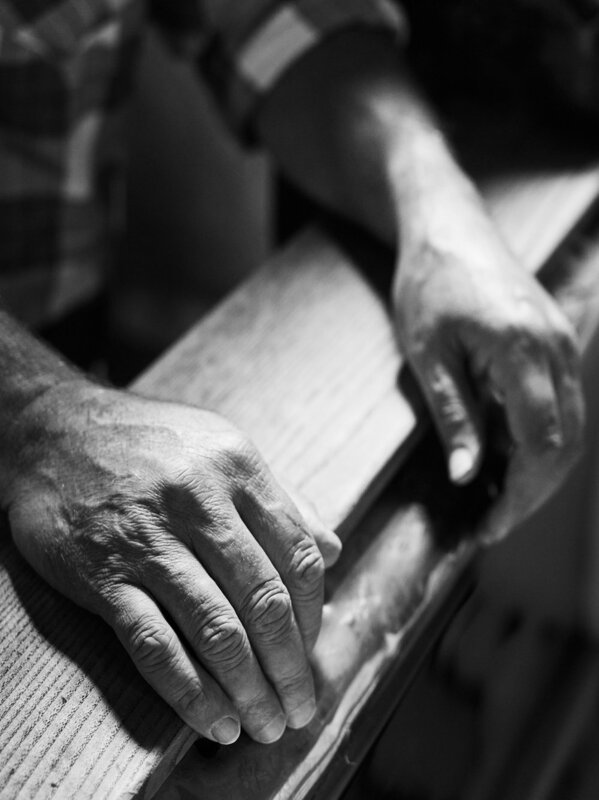 Finished by hand, by experienced craftsmen. Made from all-natural, undyed wool from Austrian mountain sheep. Our warmest thanks go to the Steiner Family and their team for their consistent top-quality work!